Brian Lebowitz represents corporations in domestic and international tax matters, most commonly transfer pricing and related issues, which include valuations. As both a lawyer and an economist, he brings both disciplines to bear in resolving transfer pricing issues in settings ranging from strategic planning to obtaining advance pricing agreements or other competent authority relief to audit examinations and appeals. In each of these settings, he emphasizes sound economic and legal analysis, finely crafted intercompany agreements and submissions to U.S. and foreign tax authorities, and creative approaches to challenging problems. Brian’s practice also includes structuring and implementing domestic and international transactions, handling audit controversies in a variety of substantive areas and requesting private rulings. He also advises both clients and colleagues on applications of economic analysis in legal contexts. Brian is listed in Euromoney's Guide to the World's Leading Tax Advisers and in Guide to the World’s Leading Transfer Pricing Advisers. He is also listed in The Best Lawyers in America. 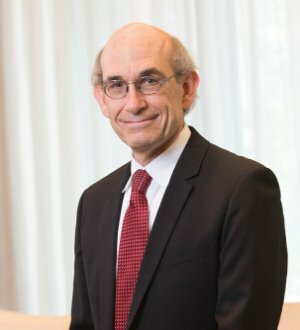 Prior to joining Alston & Bird, he practiced for 19 years at Covington & Burling, and before that, he clerked for The Honorable Thomas Gibbs Gee of the U.S. Court of Appeals for the Fifth Circuit.